Joy continues to raise the bar higher. 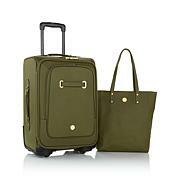 Here's a reliable luggage piece that allows you travel smart. Designed with a durable waterproof and abrasion-resistant TuffTech exterior, this mobile dresser withstands the rigors of travel. 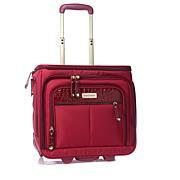 It keeps you organized, while the premiere spinball wheels provide smooth 360-degree movement that keeps up with you as you're dashing through the airport. 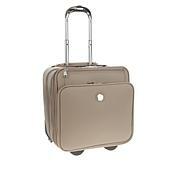 I purchase the JOY TuffTech Men's Mobile Dresser luggage for my husband, he love the wheels, handles and the zippers. We plan on using it on our next trip. I wish there were other colors other than black for men. It has it all y'all! As a young professional, this suitcase fits all of my needs. 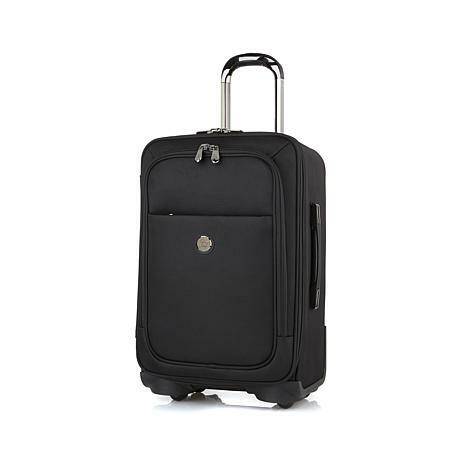 Perfect amount of room for weekend trips, incredible rolling ability, lightweight, and multiple pockets. My favorite part are the shelf inserts to keep my items neat and organized. I promise you won't regret it, and I can already tell it's going to last a lifetime! He is battling brain cancer and has good and bad days. Recently, he had to travel to a funeral and took his usual bag and a tote with his meds. I purchased separately the Joy packers since he has 14 prescriptions and everything fit perfectly in his tote. He called to say he had a difficult time walking with his bag and saw all these "roller bags". When I went on line and saw this, I said, great! He says it's "perfect" because he can wheel it and not get out of breath. Lifesaver!